After toying with the idea of selling my 951, I've decided to put it up for sale. It's a very well cared for and loved example. I''m located in South Bucks if anyone wants to view. 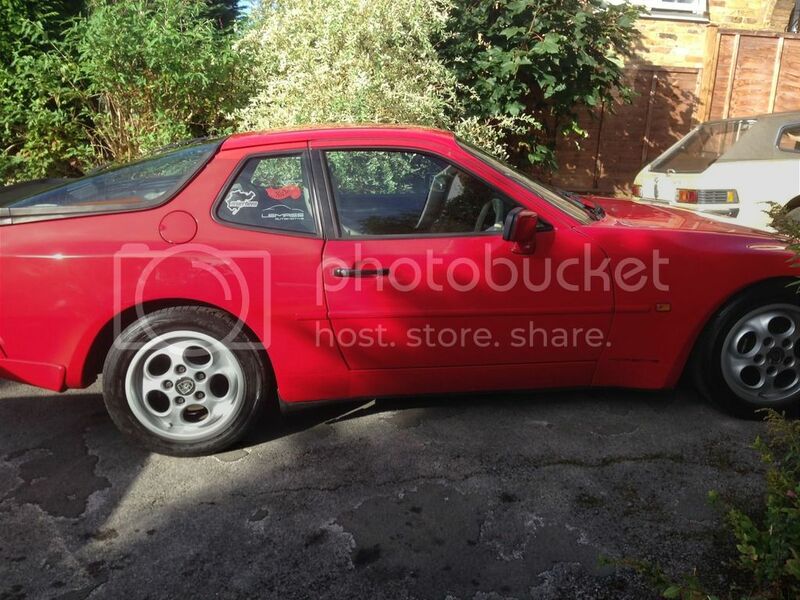 This is a very reluctant sale of my pride and joy, a 1987 Porsche 944 Turbo. This is an enthusiast owned car, in excellent condition, with lots of work done to her recently. I searched for a long time to find an unmodified turbo in excellent condition. 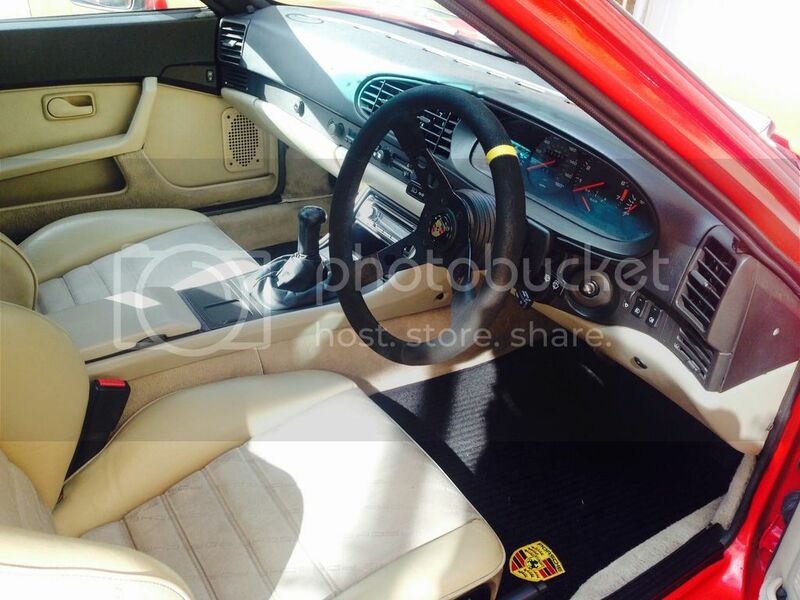 This one is in the best colour combination, in red with the cream leather interior and Porsche script. Extremely well cared for, taken to a number of classic car shows this summer and she has received many compliments from fellow enthusiasts. Private number plate D944 *** included with the sale. Full Service History, original handbook and stamped service manual. Large folder of receipts and photos of some of the recent work. 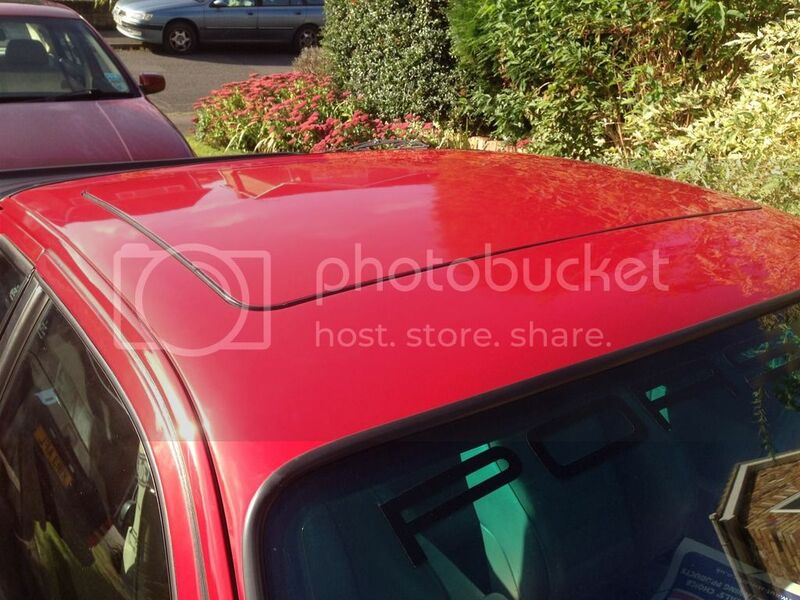 Recent respray, absolutely no rust anywhere, and mopped all over – she really shines! Previously the dark red. 156,000 miles. Less than 4,000 miles last year due to dry use only. Everything works, even the digital clock! Completely renewed gear linkage with an uprated aftermarket adjustable system. Currently in the short shift position, massively improves the driving experience. 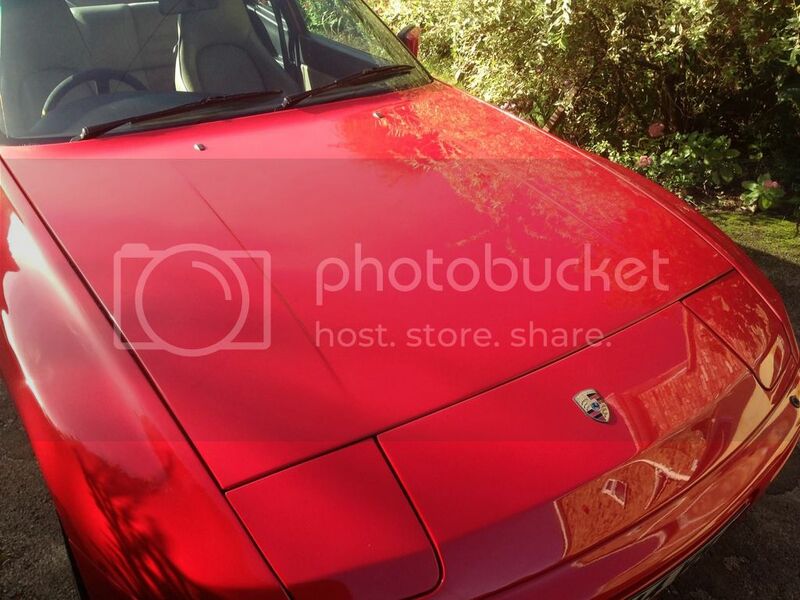 A lot of 944s I test drove had sloppy gear changes and no feel, this one feels excellent. The turbo system has just been fully tested. Turbo works perfectly, with the correct boost and pulls at the right bar across the rev range. The system was tested using a bespoke boost tester and a couple of vacuum connectors were replaced. Interior in excellent condition. New headlining, ’tombstone’ seats have been restored. Comes with momo steering wheel and Porsche horn insert. Original leather steering wheel included in excellent condition, this was removed to preserve its condition. Sound system has been upgraded. Bespoke centre console iPhone/iPod arrangement fitted. Alcantara lined ipod housing in armrest (also charges the phone), which is controllable by the Sony headunit without the need to remove the ipod. Speakers have been upgraded all round. Rear speakers from the factory are oval 6x9s with very poor audio quality – fitting an adapter, the rear housing can easily accommodate 6.5” speakers. Top of the range ‘gold line’ speakers have been fitted which greatly improve the sound quality. Private number plate D944 *** included in the sale. Valued at £450 - £700 depending on which website you use. I have had this made up on metal plates which look much better. Plastic ones included in the sale. If you’d like to view or ask any questions please call. 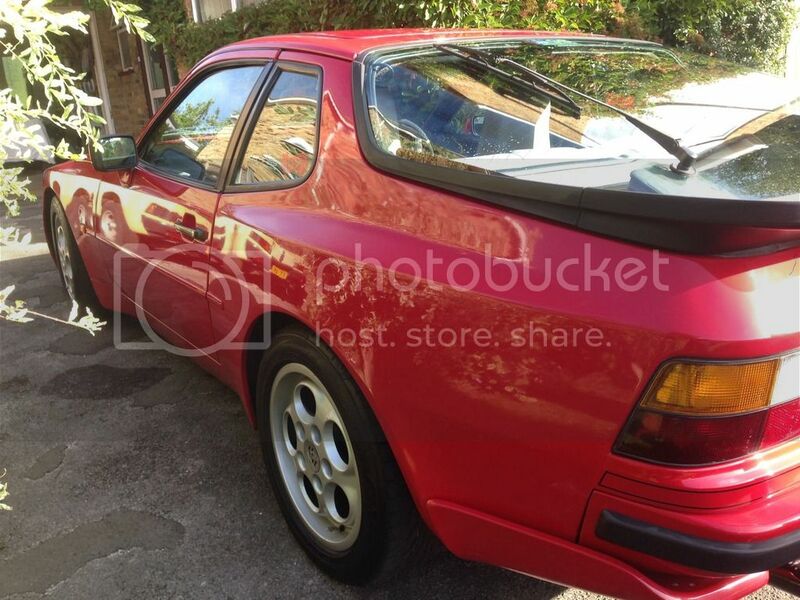 Hi, The posting was a while back so wondering if the 944 is still for sale? Yes she is. I have always been in two minds whether to keep it so I've not been particularly proactive trying to sell it. The advert is slightly out of date now, it has since done ~1,000 miles, and less than 100 miles ago, I''ve rebuilt the entire steering rack, and PAS system, and fitted new adjustable front shocks and springs (she looks practically new underneath!). If you want to DM me i'll give you my number and we can have a chat about it. I can upload some more photos, since it looks like those on this page have expired.